In the pet world, dogs and cats get all the glory. They get the TV commercials, the Facebook likes, the Sarah McLachlan weepy soundtrack and the compassion of millions of average citizens and advocacy organizations trying to right the wrongs done to them. And yet, despite these big efforts, other folks keep doing a bang-up job of making so many animals' lives miserable. So, imagine for a moment the plight of a pet who sits on the sidelines of all that attention. A pet who is almost entirely overlooked. Who lacks the rallying cry of thousands of GoFundMe petitions at a moment's notice. That, by many accounts, shouldn't even be a pet, but is nonetheless one of the most popular animals in the American household? Welcome to the plight of the pet bird. Perhaps one of the saddest tales to tell. 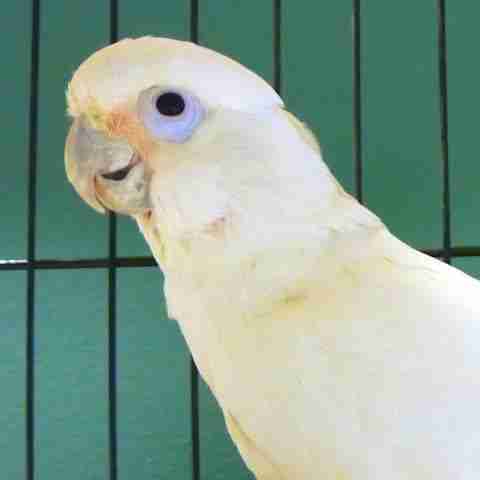 Bebe is a Moluccan cockatoo, a bird species that hails from Indonesia. Bebe was living as a man's pet in Virginia but was being neglected. His niece rescued him and found him a home at Foster Parrots, a sanctuary, adoption and conservation organization in Rhode Island. At the rescue facility, Bebe wears some variation of an Elizabethan collar around the clock as a preventative measure against his own behavior that began before he was rescued: self-mutilation. 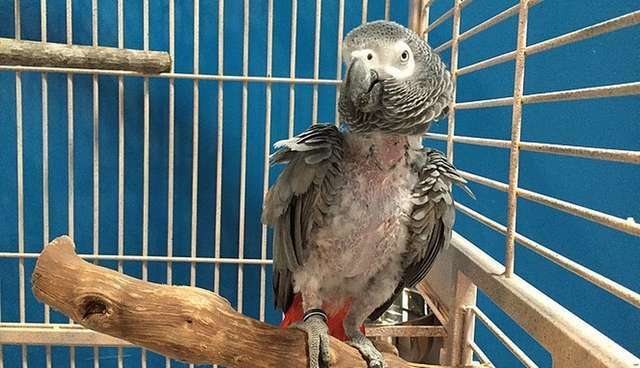 Self-mutilation is just one of the many symptoms of keeping a bird in an unnatural environment, Denise Kelly, co-founder and president of the Avian Welfare Coalition, told The Dodo. The behavior can be prompted by stress, physical illness, mental anguish, the environment, inadequate diet or some combination of all of the above. Bottom line, however, is that it's not a behavior found in the wild, she says. In Bebe's case, he has mutilated himself so deeply that part of his own keel bone is missing. 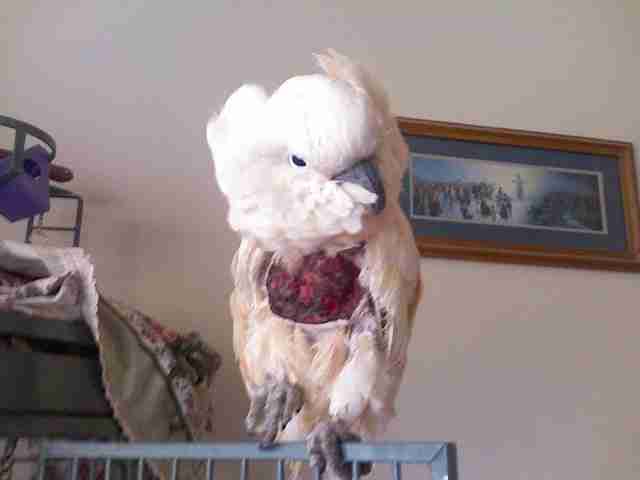 "It's one of the most extreme cases we've ever seen," Karen Windsor, co-director of Foster Parrots, told The Dodo. "Moluccan cockatoos are extremely intelligent, sensitive animals - and profoundly unequipped to deal with lives as pets," she says. Unfortunately, Windsor could be speaking about any number of birds who struggle in captivity, including parrots like macaws and African grey parrots, as well as lorikeets, lories, parakeets, cockatoos, cockatiels and New Zealand parrots, says Jennifer Place, program associate and bird expert for Born Free USA. And there are a lot of them around. More than 14 million pet birds, in fact, live in some 6 million households in the U.S., according to the most recent American Pet Products Association's Pet Owners Survey. But, for some, that still might not be enough homes for America's birds. Jamie Whittaker, president of American Federation of Aviculture (AFA), believes more households with pet birds would be beneficial. "The problem appears to be less an issue of too many birds than it is an issue of too few homes with birds," she told The Dodo. "AFA believes that with education we can improve the lives of birds in captivity, promote the conservation of birds in the wild, and create many more happy homes for birds." This is why, Whittaker says, AFA supports breeding birds: "There simply are not enough of them for the world to enjoy." Kelly would disagree. Birds simply shouldn't be a household pet, she believes. Why not? "Parrots are not domesticated," Kelly says. "Domestication takes thousands of years. You think you are going to just take this animal out of the jungle and a couple generations later, you can take the wildness out?" she asks. "[Birds] evolved for flight, and to be among other birds." This acute absence of birds' basic needs - flight and flock - ultimately transforms itself into a canvas of maladies, says Kelly. Because they aren't flying, birds get cardiovascular problems. Due to the stress of confinement, they display abnormal behaviors, like biting on bars or pacing their cages. Because they are sedentary, they get heart disease. Some get cancer. Some simply scream all day. Or, in Bebe's case, they hurt themselves right down to the very core. 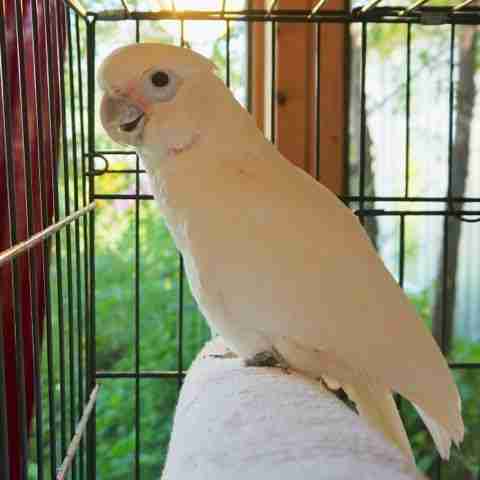 For now, though, at Foster Parrots, Bebe lives a pretty happy life, says Windsor. Unfortunately, she explains, because self-mutilation is almost impossible to reverse, Bebe will continue to wear his collar for the foreseeable future. "Otherwise," says Windsor, "he will resume his compulsive, self-destructive behavior." Where do these birds come from? For some time, an astounding 800,000 birds were wrenched from the wild - in Latin America, South America, Africa and Indonesia - and imported into the U.S. annually for the bird trade, says Place. 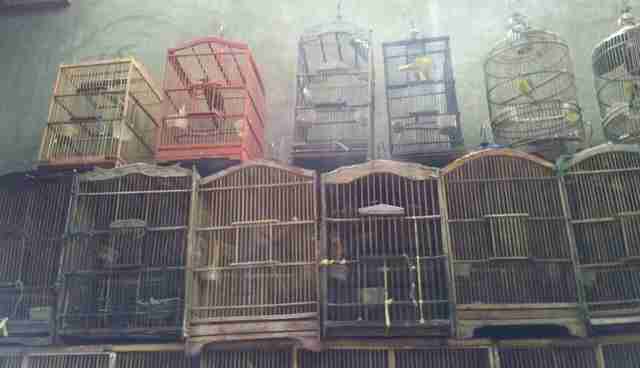 She says experts estimate that at least 60 percent of captured birds died before reaching their international destinations. In 1992, the U.S. passed the Wild Bird Conservation Act (WBCA), and the number of birds being imported dropped significantly. "Under this law, the only way to legally import an exotic parrot is by obtaining a permit through the U.S. Fish and Wildlife Service (FWS)," says Place. 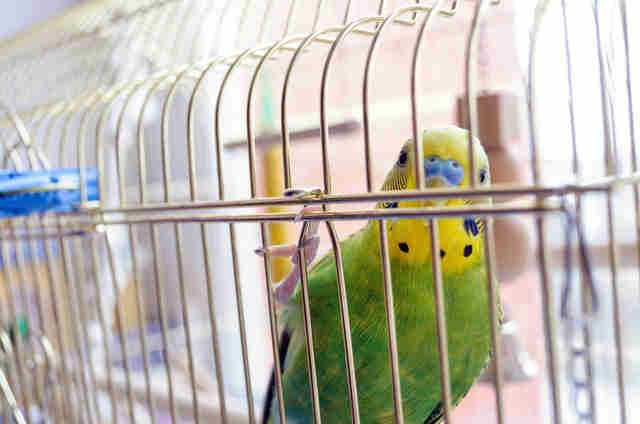 A permit can be issued for scientific research or zoological purposes, but no birds are allowed to be imported for private pet ownership except in very specific circumstances, she says. 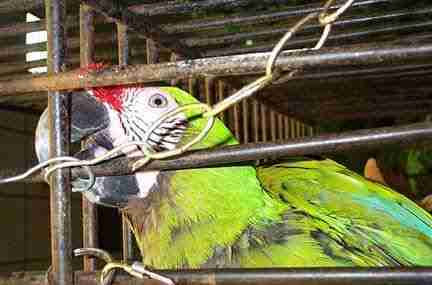 Even though the number dropped considerably after WBCA passed, there are still 150,000 parrots smuggled illegally into the U.S. every year, Place says. "Due to a conspicuous lack of federal oversight or regulation," she says, "there is no way to know for certain where these trafficked birds go once they are smuggled into the U.S. However, it's likely that these animals end up at exotic pet auctions, breeding facilities and in private homes." Additionally, approximately one-third of all parrot species are threatened with extinction due to habitat loss and the international pet trade, she says. After WBCA was passed, the import highway was slowed down. However, that stoppage launched a disco party of domestic breeding in the U.S. The problem with that? Domestic breeding is almost totally unregulated, says Place. "Surprisingly, the USDA does not currently have any specific regulations for breeding facilities," she adds. Although the 1966 Animal Welfare Act (AWA) gave the USDA jurisdiction over exotic animals, birds were arbitrarily left off the definition of "animal," says Place. "This was rectified in 2002, and at that point, the burden was on the USDA to draft and implement regulations under AWA for birds." But the USDA has neglected to do this, which means it's "easy to breed millions of birds with little to no oversight or accountability," says Place. 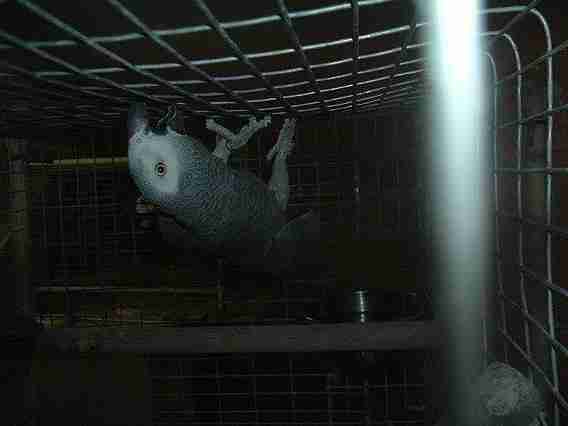 In fact - as a testimony to the fogginess of the industry - it's unclear how many parrot breeders even exist in the U.S. But breeders come in a variety of colors - from "large-scale factory-style breeding operations to backyard breeders to small-time hobby breeders," says Place. The big ones especially, she says, operate in relative secrecy, hidden from public scrutiny. In the late 1980s, a woman named Patty Millet needed to find a sanctuary for her seven parrots because she had fallen into financial straits. She brought them to the now-defunct Scudder's Parrot Depot in Roy, Washington, where the owner said they would be cared for scrupulously. Millet swiftly made an unannounced visit to the facility and found "cages stacked upon cages, baby birds living in dirty, crowded and unsanitary conditions, bigger babies injuring smaller younger babies, all of the babies crying and begging for food," writes Windsor in the Foster Parrots newsletter. While Millet was standing inside an outlying room at the facility, from the corner of her eye, she saw something brown and small scooting across the floor toward her. It took several moments to understand that who she was looking at was a very tiny baby Goffin's cockatoo. Even more disturbing: The bird had no feet. Millet reached down, scooped up the little baby bird, wrapped him in a paper bag and left the facility. Over the next 20 years, Millet cared tenderly for the bird she named Digit, but realized she needed to secure the animal's future, especially since he had special needs. "She got in touch with us and started to explain the story and we took the bird in," says Windsor. Marc Johnson, the dedicated founder of Foster Parrots, says the group knew Digit was a special case since he had no feet. "I'm not sure how common it is," he told The Dodo, "but the potential for birth defects is greater in these kinds of breeding facilities because they don't record genetic lineage, especially in the worst of the worst." 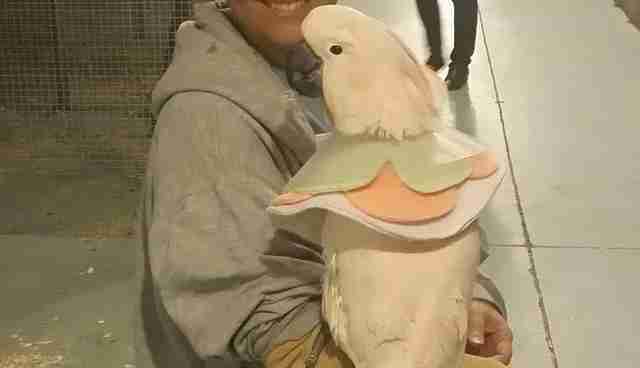 Digit has been at Foster Parrots since May 2014 and Windsor says it would be an understatement to describe Digit as "the most spoiled little prince on the planet." "There are thousands of these stories," says Johnson "Millions of them." Johnson says his sanctuary only serves a small regional area in New England but the organization receives nearly 1,000 calls a year from people hoping to rehome their birds. 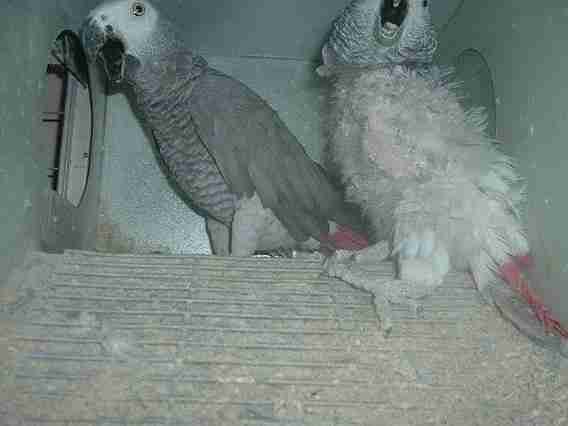 Unfortunately, there are far more parrot owners who just don't want to care for their birds anymore, and either neglect or completely abandon them. "It's not uncommon for us to get a call from someone who sees a parrot in a tree because someone has let them go," Johnson says. "Or a woman calls and says her husband is about to throw her bird out the front door." Another reason people abandon or neglect their birds is because the birds' behavior changes. "Some of these birds are great when they are little," says Kelly. But when they get sexually mature around the age of 5, that is when they can be aggressive, especially the bigger parrots. Kelly says, in some ways, it might be easier to see the plight of the larger bird, but captivity is just as troubling for the smaller ones. "The little ones, they are more manageable in that you don't worry about them if they bite you, you won't end up in the hospital with stitches." 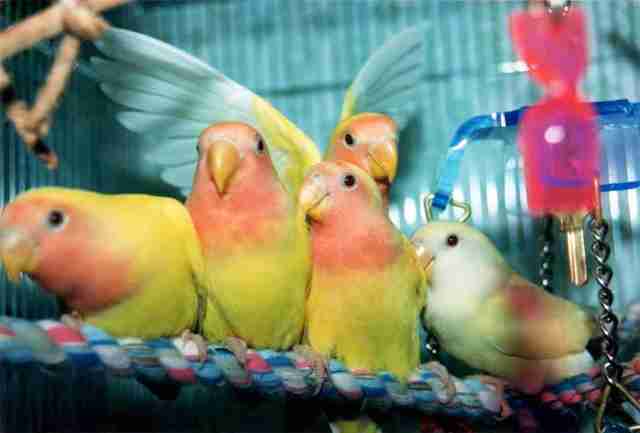 But, she says, the small birds are hyperactive. "People think they don't need as much space - but they do and even more. They are very active. Those little wings can dart!" Kelly says it's excruciating to witness. "You walk by some shops and see one just sitting in a cage vegetating. People like the idea of this little canary singing. But the reason why it is singing is because it wants a mate. It is depressed." "When you think about it like that," she says, "that is awful ... Because you want to hear a canary sing, you will keep it alone from its own species." 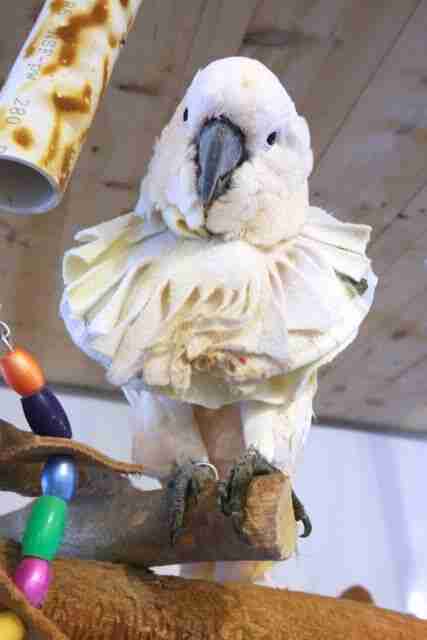 Of course, it also shouldn't be overlooked how intelligent parrots are. 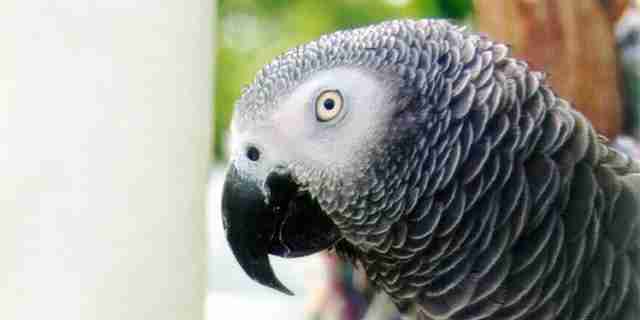 Psychologist Irene Pepperberg worked for years with a famous African grey parrot named Alex. Through her work, Pepperberg came to believe parrots had the same level of intelligence as primates and dolphins. Despite all these emotional and physical needs, and obvious smarts, pet parrots can be easily purchased at big pet chain stores like PetSmart and Petco, says Place, as well as local pet stores, Craigslist, individual breeders and flea markets, among many other sources. For people like Johnson, who has been working to offset the industry for 25 years, the situation is exhausting. "We need to raise the bar to a degree that people really understand what they are in for, and what they are doing," Johnson says. "If someone said they wanted to buy an elephant because they have a big backyard, people would say that was insane." "What right," he asks, "do we have to put a flighted wild animal in a cage?" So what happens year after year is that birds keep dying, even by the millions, Johnsonestimates. Some of these birds might be able to be saved by sanctuaries and shelters, but there are too few of them. Johnson points to the fact that in cities and towns across the nation, there are thousands of cat and dog shelters. 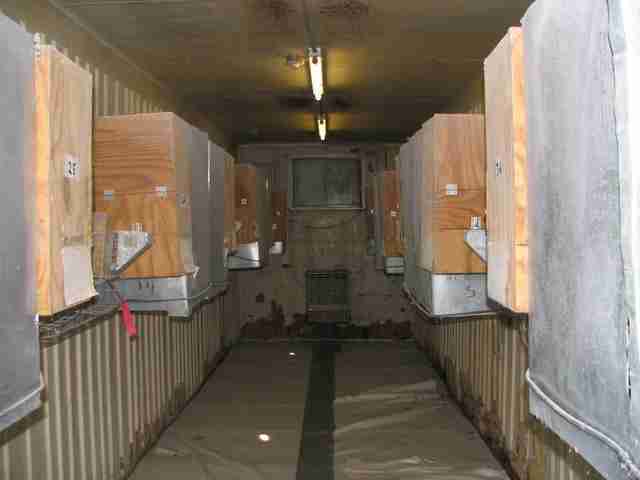 But unfortunately, many facilities aren't prepared to aid a surrendered or neglected bird. It's a testimony to how overlooked the captive bird industry is, from beginning to end. Johnson and Windsor would like to see the breeding of birds stopped altogether, but realize the battle is long and arduous. "Think about how long people have been seeing pictures of puppy mills and still they exist, after all this time," says Johnson. Parrot mills are even more widely accepted - in fact, few people even realize they exist. Johnsonpoints to a sobering story about the kind of canyon that takes place between society's view of a bird in captivity - and the reality. Years ago, Johnson came across a beautiful macaw, named Captain, who was living inside a hotel on the north shore of Massachusetts. "It was inside this beautiful inn. The place had an enclosed bar, with waterfalls and palm trees. 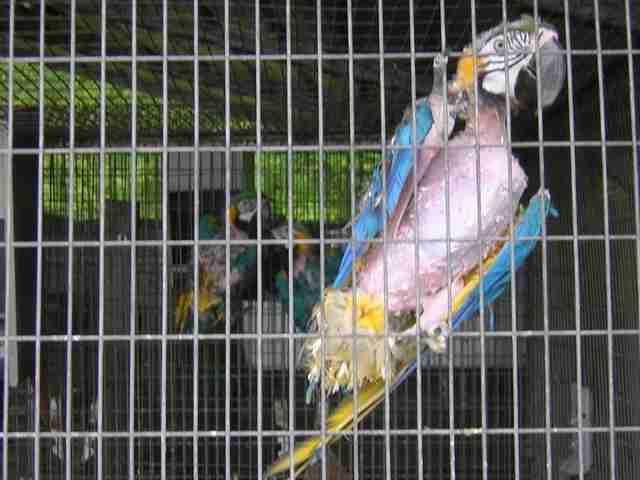 And there was this macaw in a cage so small he couldn't spread his wings," says Johnson. The bars on the cage were rusty and they were held together by a chandelier chain. 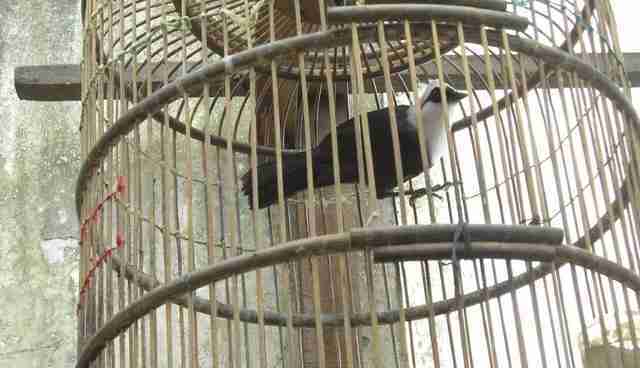 "I went up to the owner and said, 'I want to help you build an enclosure to house this bird properly,'" says Johnson. The owner called him nuts, and refused. "So I started a petition," Johnson says. "And I went to take photos of the bird in his cage. The water was green. The food was horrible. I even said to the owner, 'You have a restaurant, give [the bird] sweet potatoes and fruit.'" There were even cigarettes littered under the cage. So Johnsonbegan to document Captain's existence and started taking photos of the magnificent animal, biting on his rusty bars, trapped inside the smoky room. And while he was capturing the plight of this magnificent animal being held captive inside a bar, hotel visitors would walk up to the cage and simply say: "Oh, what a beautiful, beautiful bird." "People look in these cages," says Johnson, "and will say that - 'what a beautiful bird.' But the reality is, they aren't thinking about that bird's life at all." To donate to Foster Parrots, go here. Read about Born Free's National Bird Day or visit the Avian Welfare Coalition to learn more about captive birds. Follow the recovery of Javi, an anxious former pet who is loving her new life with her rescuers.